As a boy, I was always fascinated by Goodwood Plantation, sitting majestically far back off Goodwood Boulevard, secluded by trees and with its “No Trespassing” signs prominently displayed. I heard that it was haunted, that the owner was a recluse, and that there were bad dogs to keep curious boys away. Yet, it appeared so serene, and I suspected it was full of secrets. As I grew older and developed a love of history, I read what little there was about Goodwood Plantation. It had apparently never been on tour, and few writers had much to say about it — just that it was built in the early 1850’s by Dr. Samuel Laycock (1811-1884) and was part of a 2,000-acre plantation that he planted in sugar cane. 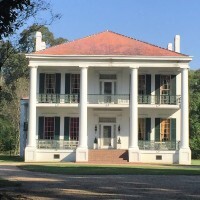 Also, that the plantation had had only two owners — the Laycock family from the 1850’s to 1930 and the Babin family from 1930 on. 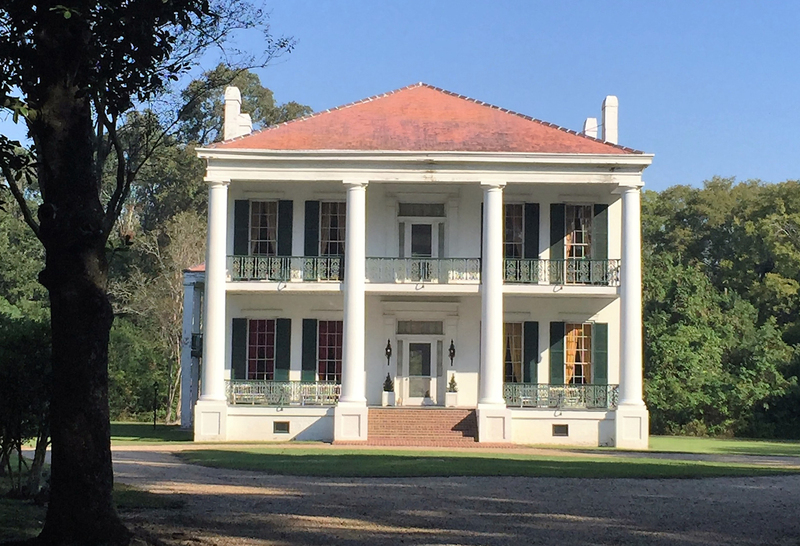 In the early 1980’s, my wife and I acquired Great Oaks, the only other antebellum-style home in the Mid-City area, and so I began to feel a kinship and curiosity about Goodwood. Great Oaks was only built in 1950 but it is an exact twin of Richland Plantation built in Norwood in 1820. Great Oaks is surrounded by historic oaks, including one 450 years old. By studying old maps and courthouse records, I learned that Great Oaks was situated on land that had been part of the Bird Plantation, an 800-acre tract that encompassed all of present-day Melrose and a bit beyond. More importantly, the Bird Plantation was adjacent to the 2,000-acre tract owned by Dr. Samuel Laycock. I wondered what if any connection the Birds and the Laycocks might have had with one another. In 2005, we began publication of the Central City News, and I spent a good deal of time researching the history of Central. Historian Vicky Carney told me I must meet Dr. Jesse L. Fairchild, Jr., a native of Central who wrote the book, A Historical Sketch of Greenwell Springs, Louisiana, 1850-1950. Dr. Fairchild, a physician who spent most of his career treating patients at Greenwell Springs hospital, was acknowledged to be the expert on the history of the northeast part of East Baton Rouge Parish. I took him to lunch, and we began a friendship that lasted until he passed away Sept. 28, 2011. Once or twice a year we would meet for lunch until his eyes went bad. After he moved to Williamsburg on Government Street, I visited him there. Before he died, he gave me the rights to the other books that he wrote, and he asked that I edit and publish them. He also asked that I reprint his book on Greenwell Springs, all of which I agreed to do. From Dr. Fairchild, I learned there was indeed a connection between the Bird and Goodwood plantations. The founder of Goodwood, Dr. Samuel G. Laycock, married Adelia Bird. The couple also had a daughter named Adelia. Dr. Laycock died in 1884 and left several heirs. His son Joe lived on at Goodwood Plantation. There are more stories about Goodwood Plantation and many other things in Dr. Jesse Fairchild’s book, Tales, Stories and Happenings in Baton Rouge and Greenwell Springs, which I plan to publish.